ELITE have both male and female fully qualified driving instructors providing manual and automatic driving lessons in the Kingston, Weybridge, Addlestone, Epsom, Hampton and Chertsey area of Surrey and surrounding areas. All of our instructors teach people how to be safe and competent drivers, not just how to pass the driving test. However, they all have expert knowledge of the Tolworth, and Chertsey test centres, test routes and training areas, and as a result have a pass rate far above the national average. To see what our many passed pupils have to say read our many reviews here. 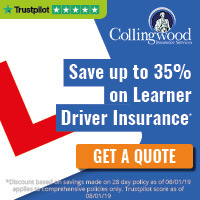 We always have great introductory deals for new pupils, plus fantastic on-going discounts on block purchases of driving lessons! Our driving instructors normally recommend pupils take two-hour lessons as they are far more productive than just one hour at a time, as more repetition can take place on each topic, and topics can seamlessly merge into each other rather than the student having to recap and warm up at the start of each lesson. However, we will accommodate single-hour, one-and-a-half hour, or intensive driving lessons in the Kingston, Epsom and Weybridge area to suit an individual's needs and requirements.